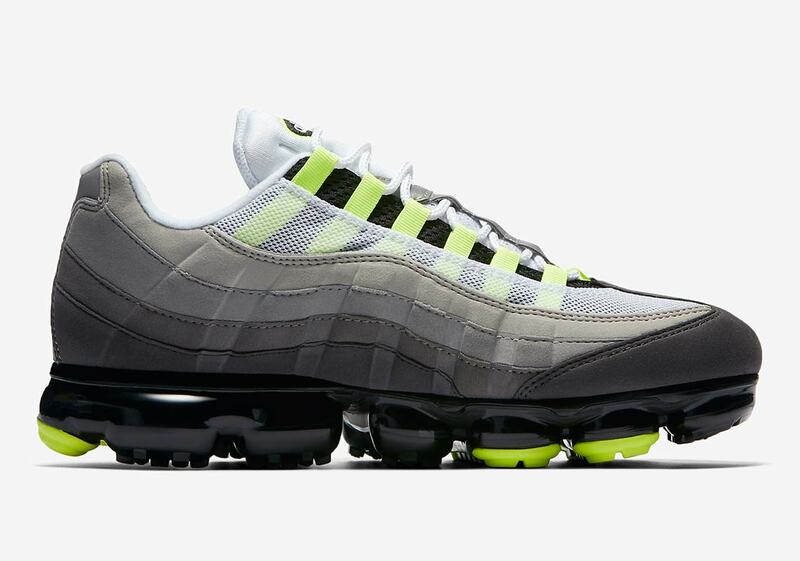 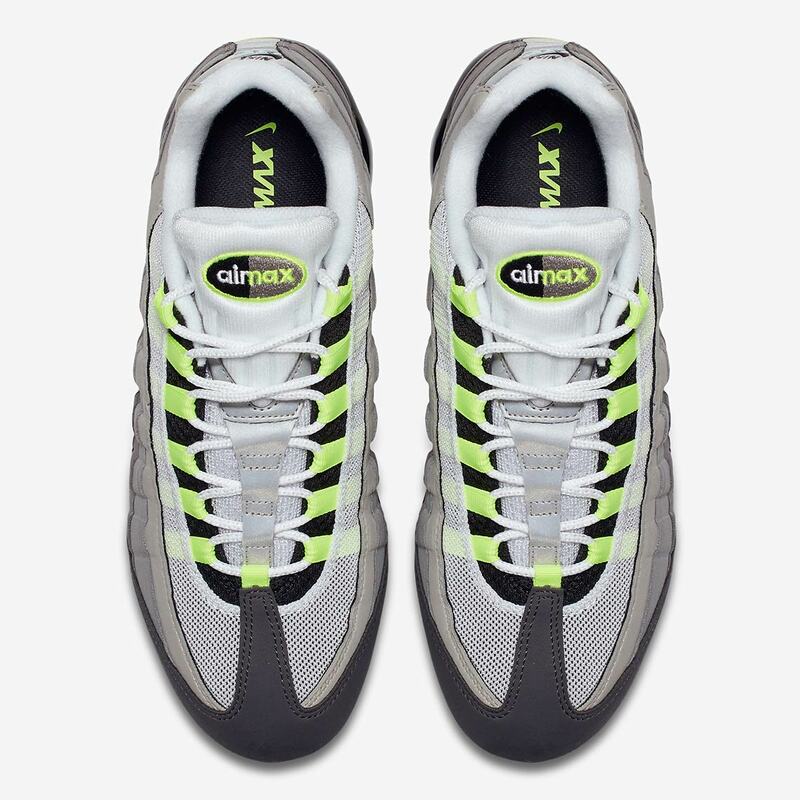 After both the Air Max Plus and the Air Max 97 received a new-age Vapormax hybrid iteration in the last few months, the Air Max 95 is now the newest classic Air Max silhouette to get a Vapormax makeover. 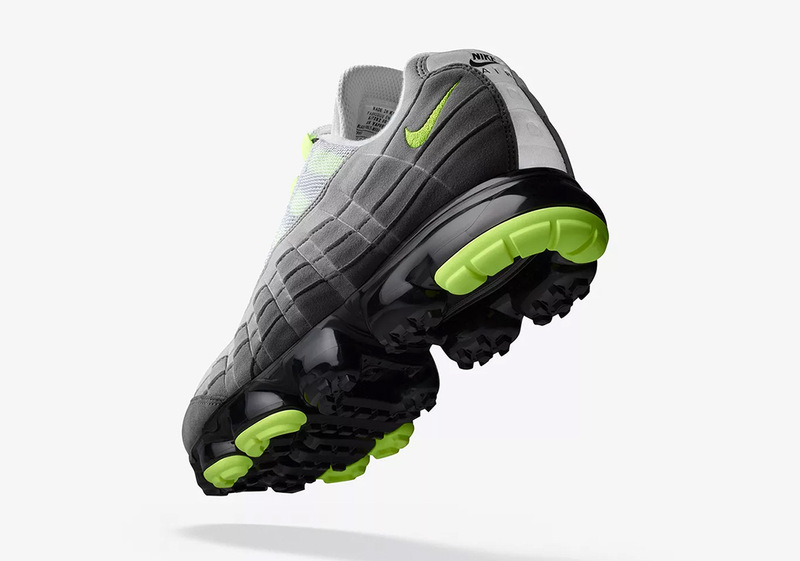 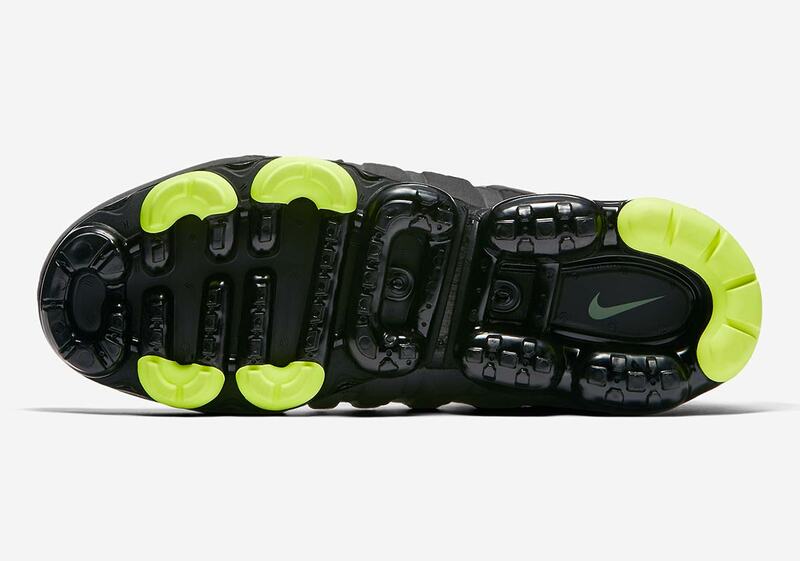 Debuting in the iconic OG “Neon” colorway, the Vapormax 95 takes all the original detailing from the classic 95’s upper—from the grey gradient on the upper’s panels to the neon detailing on the lace loops and heel swoosh—but swaps out the large midsole for a sleek dark black Vapormax cushioning unit. 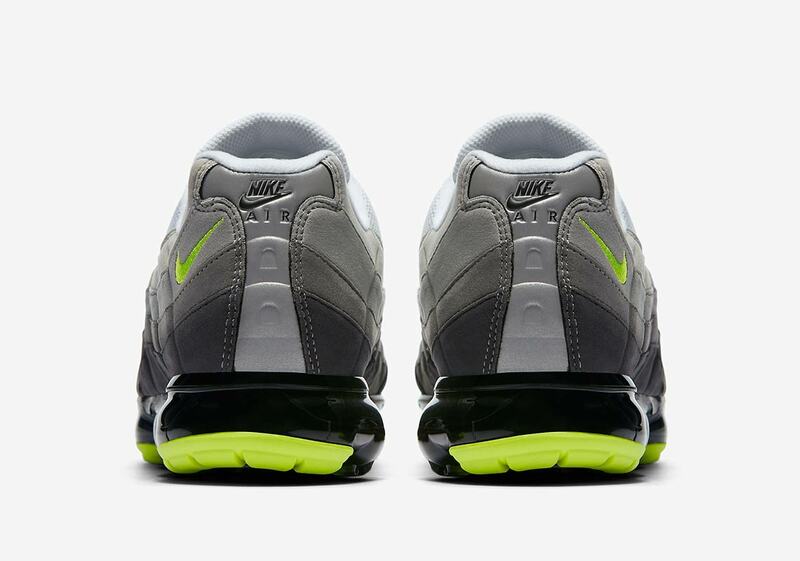 This stark contrast between old and new makes for an interesting shape: a shoe that’s chunky on the top but slimmed-down on the bottom, a striking contrast made even more noticeable by the lack of any real midsole to separate the two. 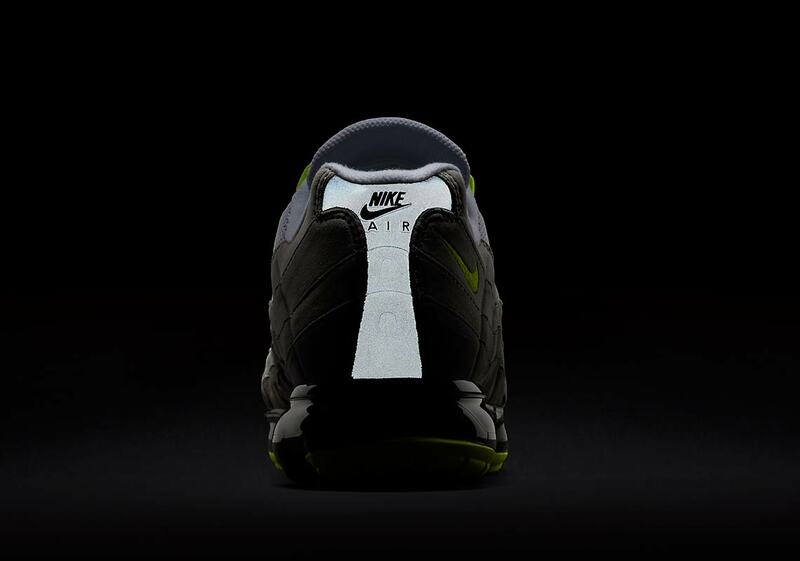 For a finishing retro touch, neon detailing arrives on the heel and midfoot of otherwise blacked-out outsole. 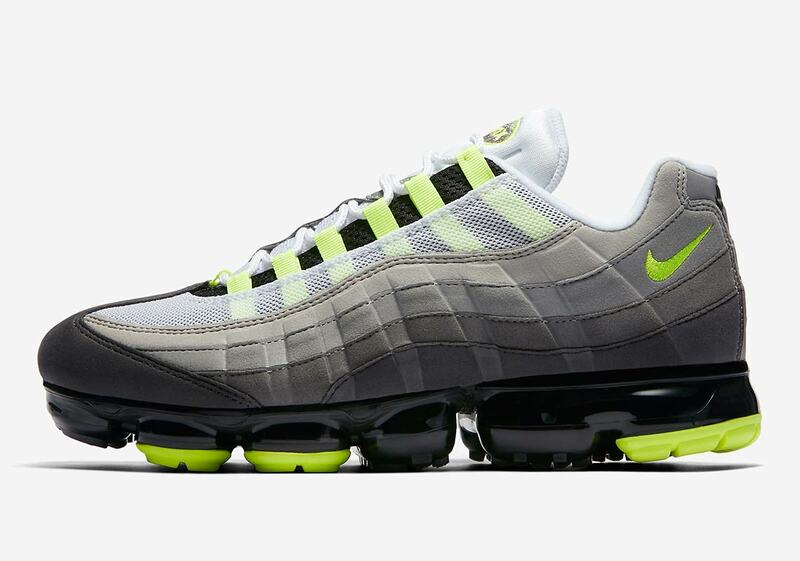 Fan of the fusion? 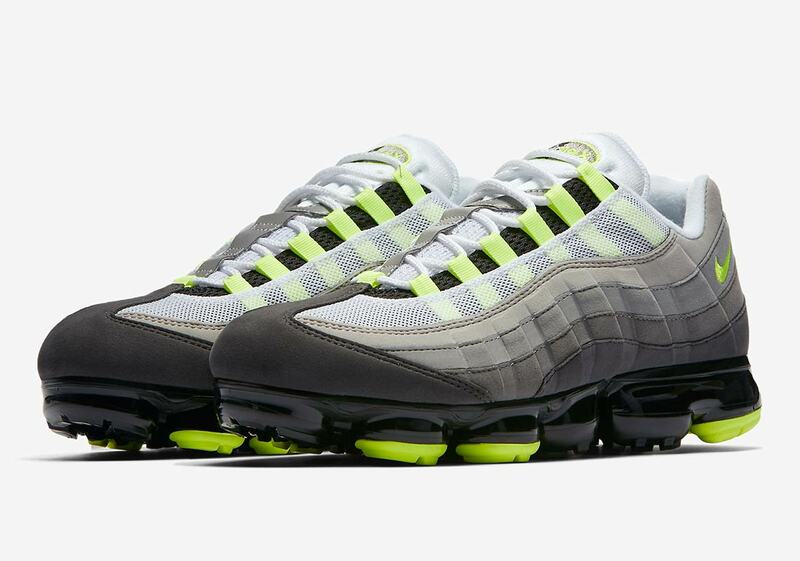 Look for these new Vapormax 95s to release on Nike SNKRS August 16th for $190 USD, followed by a European release August 24th.